Step by step guide, how to open Scent of the Worm / A Scent is the Key secret chest in Destiny The Taken King. 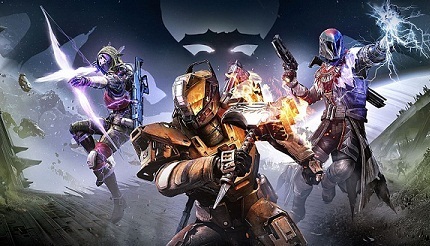 In Destiny The Taken King there is to discover a lot of secrets. Particularly tricky turns out to be a chest to which you can get only with a specific trick, while still must prove skills in jumping. If you have already discovered the secret chest in the Mausoleum on the Dreadnaught, no doubt that you have noticed the cryptic message "A Scent is the Key", which prevents you from opening. Here we will show you how to open this secret chest. - Go to the mausoleum and there in a side room, which in turn leads into a small cave. - Here you will find a calcified fragment and also the box, you need the key of the grub. - Stay now in this cave and you will notice that your screen continues to turn green. Then you get the buff - wait 1-2 minutes to get the Scent of the Worm buff. - Equip weapons and armor gives you bonuses on your mobility, so you can jump higher and farther.